"We were there in the role of peacekeepers. A few Danish lads served with us. Our numbers included a sprinkling of battle-hardened veterans, but for the most part we were teenaged conscripts. 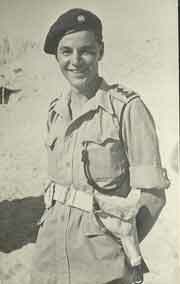 Some, like myself had had an introduction to peacekeeping in Greece, but others were fresh out from Britain." 'Enduring the Hour', Ted Hall. 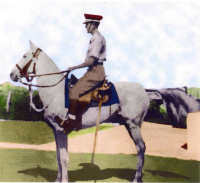 The Arab Legion, commanded by General Glubb Pasha, was also on duty throughout Palestine, predominantly guarding RAOC depots, and the Transjordan Frontier Force, a cavalry regiment, was stationed on the northern and eastern borders. Their duties were mainly to stop illegal immigration. 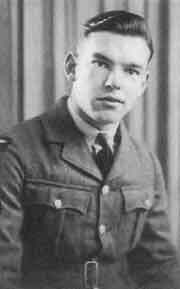 There were also the Iraq/Assyrian Levies serving both in the army and RAF. There had been movement too between the services as the army had needed more troops for the Rhine crossing which was expected to take many casualties. 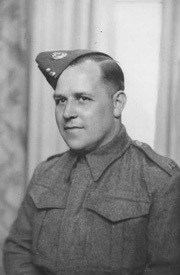 Charlie Powell served in the RAF for 18 months before a posting to the army fire service and Bill Tolley, Royal Navy, was posted into the army at the end of the war. 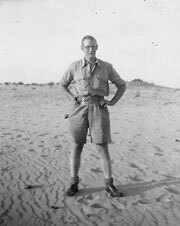 Change of service was not uncommon: Brigadier Bernard Fergusson, Black Watch, also served as a senior Palestine Police Officer. There were many ATS and WAAFs there too, often working in codes and cyphers, and communications generally and training local recruits, (one recruit being Hannah Roberts) who had been born in Baku from where her family fled to Palestine, as well as nursing sisters in the Army Medical Corps. There were also many ATS truck drivers including Danuta Maczka, who had escaped from Poland, joined Anders Army, and drove all over Palestine delivering supplies. A large number of other British citizens were also there: teachers, business people, those in the many religious organizations some of whom like the Church of Scotland provided hostels and other amenities for the troops; and, of course, many NAAFI personnel. In addition, there were the civil servants trying to administer a country in which a minority were firmly ruled by their own unelected, self-appointed government, the Jewish Agency. Although acting on behalf of the Foreign Office the civil servants got little support: Henry Gurney, Mandate Chief Secretary, mentions a Foreign Office visit in 1947 being the first since 1941. During the war itself there were also regular visits by ENSA (called by the unkind 'Every Night Something Awful') which were no doubt much welcomed and enjoyed. Many famous entertainers as well as the completely unknown made an appearance, George Formby and his ukelele, for instance. The Palestine Police were the first in line for keeping order and took hundreds of casualties. They liaised with the other services who provided backup though there was sometimes tension as many of the Police had been in Palestine for years, knew the place and people well and usually spoke Arabic and Hebrew. They were trained to keep order, not to fight. 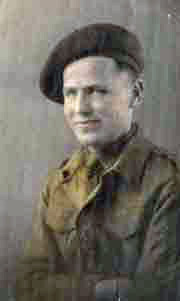 The Army had just come from active fighting or were conscripts and were constantly changing as men were demobbed and units were merged or disbanded, particularly towards the end of the Mandate, consequently there was no continuity and little opportunity to get to know the country or language. A detailed history can be found at Policing Palestine, the British Palestine Police Association (BPPA has has replaced PPOCA) site. 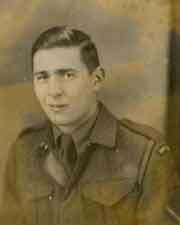 St Antony's College, Oxford, have an oral history project and there is a Video on dotSUB of an interview with Gerald Green who served in the Palestine Police from 1946 till 1948. (16.5 minutes). The son of BC'I' Ron Baldwin has put his diaries in a blog. The navy had the difficult task of intercepting vessels carrying illegal immigrants and, usually, taking them to camps in Cyprus. Ships had to be stopped with as little danger to life as possible and very few got through the blockade. Most notorious of the intercepted ships was President Warfield which HMS Chieftain and HMS Childers stopped. This vessel became famous as the Exodus in a typically 'historic' Hollywood film. The navy were also involved in peacekeeping patrols ashore for which they were untrained and had to learn quickly. It was on HMS Euryalus that HE Sir Alan Cunnningham, last High Commissioner for Palestine, left Haifa. 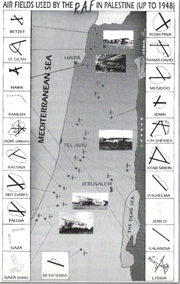 The RAF's main base was at Aqir but there was a Communications Flight permanently at Lydda and units at Ramat David (near Haifa) and Ein Shemer and elsewhere. Pilots were kept busy patrolling the Mediterranean watching for ships carrying illegal immigrants but others were transporting personnel and cargo or were on motor convoys making the difficult and exceptionally uncomfortable journey from Egypt to Iraq (RAF Mechanical Transport Companies) and around generally. "The Jewish press informed its readers that 6th Airborne troops were composed of criminals, murderers and jailbirds and were no better than the Gestapo." Straight from the Horsa's Mouth, Ted Mold. 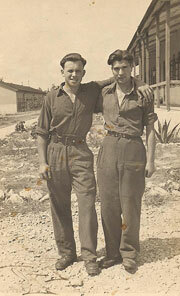 The Argyll and Sutherland Highlanders have a detailed history of their service in Palestine with many photographs. 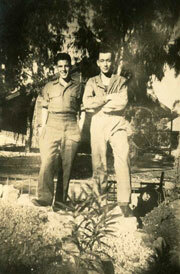 Their first tour of duty in Palestine had been before the war. 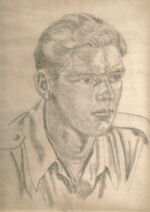 87 Airborne Field Regiment RA arrived on HMT Devonshire in 1947 after being newly-formed in India. 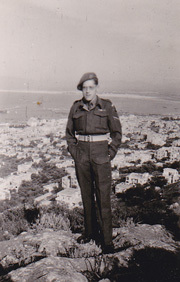 Brigadier Arthur Sisson describes their time in Palestine. 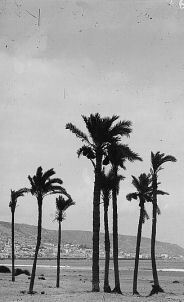 The Paradata site also has a large number of photographs. 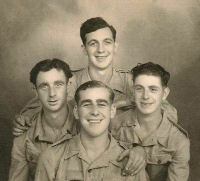 Highland Light Infantry The HLI site has no official history for Palestine but does have a section for personal stories. 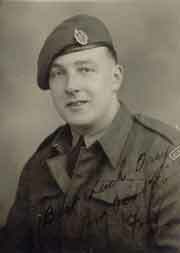 Parachute Regiment: the ParaData site provides a history of the Regiment and Airborne Forces. But in the books they left us out. At each crossroads, "Which way to go?" Who knew the way and where we'd been? No-one seemed to know our name. To train with Fritz at jungle games. Some of the countries we went through. In Palestine they changed our name. 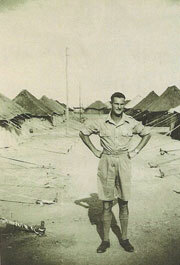 216 Parachute Signal Squadron have a history of their time in Palestine. 4th/7th Royal Dragoon Guards. 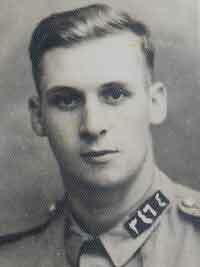 Fourteen members of the Regiment lost their lives during the tour of duty in Palestine;. The Royal Anglian & Royal Lincolnshire Regimental Association Lincoln Branch | Regimental newsletters from Palestine. The East African Rifles as well as the Kings African Rifles were there too, together with troops from Mauritius and Australia; and so many Indian troops that they had their own radio broadcasts. At the end of the war the Danish Government offered Britain soldiers to relieve the troops who had been fighting for years and wanted to get home. About 25,000 volunteered of which 3,000 were recruited, signing on for 3 years. It was the first time a Danish Government permitted its citizens to serve a foreign government and tends to be forgotten now in Denmark. They went first to Canterbury for six weeks basic training and were then sent to their units all over the Empire and about 30 went to Mandate Palestine with the East Surreys. 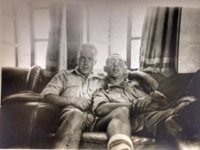 After a lively time in Palestine they went to Egypt in 1948 where some of their duties included fishing French soldiers out of the water when they literally 'jumped ship' as it went through the Suez Canal on the way to fighting in the Far East. The Danes at War site is about the many Danes who have fought with British Forces around the world. Every June the veterans meet at the Dannevirke Soldiers' Home in Odense (in Danish). When Germany attacked Russia in June 1941 many Poles who had been imprisoned by the Russians were released and joined a Polish army under General Anders. 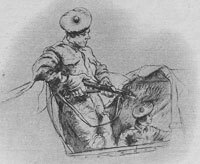 Relations with Russia soured and thousands of combatants and their families evacuated to the Middle East and joined the British Forces. 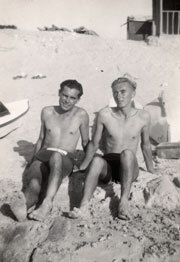 The group also included a number of Polish children and 1,000 Jewish orphans who became known as the Children of Tehran. 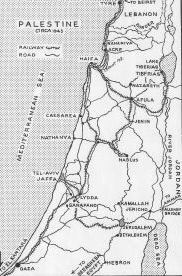 On arrival in Palestine, most of the 4,000 Jewish soldiers (including Begin) deserted. 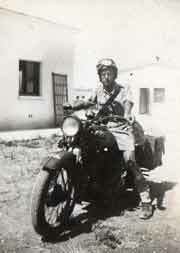 Some Poles, like Anton Witkowski made their own way to Palestine and were in action throughout the war. At the end of WWII these Polish soldiers were given the option of returning home to a country under Soviet occupation or signing on for 5 years in the British Army and being granted citizenship. Not only Polish men served with the British, women like Danuta Maczka who arrived after a terrible and long journey from Rovne also came. "Zigi was built like the side of a house. 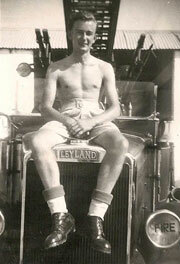 However he got into the driver's compartment of a tank used to worry me. Apparently all his family had been destroyed by the Nazis in Poland and Zigi to all intents and purposes when he was normally working had forgotten about this. It used to come back and hit him when he'd been drinking and one night he was in such a state, and he was so strong, it took about six of us to hold him down while we sent for the MO to give him a jab to put him out. The next morning he was as right as rain." There had been so much suffering it's a wonder anyone could function at all. 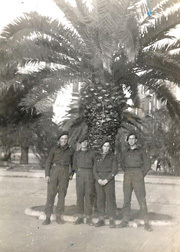 During WWII, in addition to serving troops, there was also a Palestine 'Home Guard', the Palestine Volunteer Force of British civilians and civil servants. It was formed when Palestine seemed especially vulnerable with Vichy forces controlling Syria and Lebanon; Germans in Greece, Crete and the Western Desert, with Rommel at one point being less than 100 miles from Cairo. They trained regularly in Allenby Barracks and on the ranges as well as basic duties but never, luckily, were called to action. "Needless to say, it was the British Army and the Palestine Police who had to pull the politicians' chestnuts out of the fire and do the best they could in what was, with hindsight, a no-win situation. In so doing, they annoyed the indigenous Muslim inhabitants for letting in what they considered to be too many Jews, and stoked up even greater hatred among certain elements of the Jewish population for not letting in enough!" 'Enduring the Hour', Ted Hall.